1966 Manuel Velazquez (U.S.A.) 650 mm scale, 53 mm nut, German spruce Hazelfichte top, Indian rosewood sides and back, all original spirit varnish, Rodgers tuning machines. One crack on middle of the bridge tie-block have been cleated a long time ago. The spirit varnish has slightly now taken on a crackle pattern over some parts the top of the instrument. 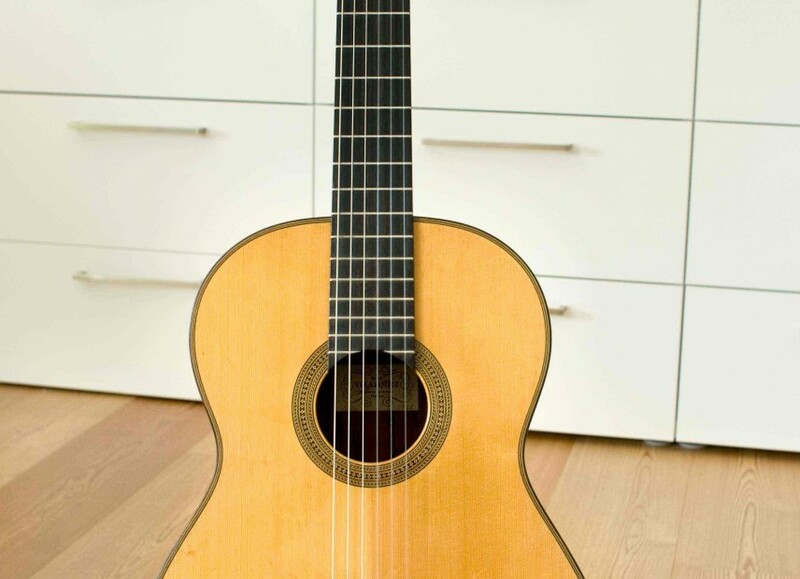 The polish is touched up by the German maestro of guitar building, Fritz Ober in Munich. 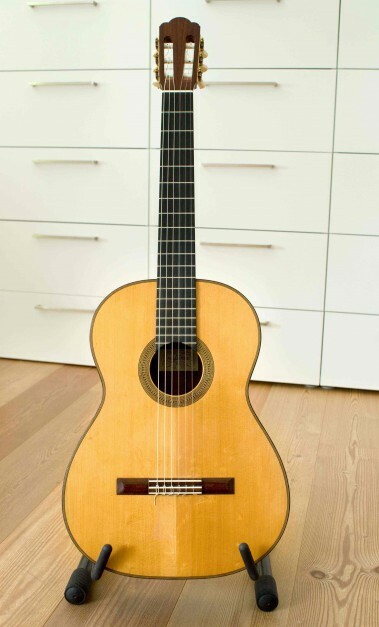 The sound is very closely based on the instruments of Hermann Hauser Sr., so except for the rather large neck, this guitar could easily pass for a Hauser guitar of the late 1940s if the label were missing. It is very clear, colorful and has a really wide dynamic range, with all musical aspects very controllable by the player. These Velazquez instruments are noted for their ease of expression on the part of players, they are so wonderfully responsive to the slightest variation of touch or hand position. Don Manuel, who many consider to be the Dean of American luthiers is sadly no longer with us, but his legacy lives on in his beautifully crafted instruments.